What are the hallmarks of a flourishing accountable care organization (ACO)? Robust clinical outcomes and satisfied patients, say respondents to the 2017 ACO Survey by the Healthcare Intelligence Network. Adoption of ACOs more than doubled in the last four years, and ACO leadership shifted from physician-hospital organizations to integrated delivery systems. 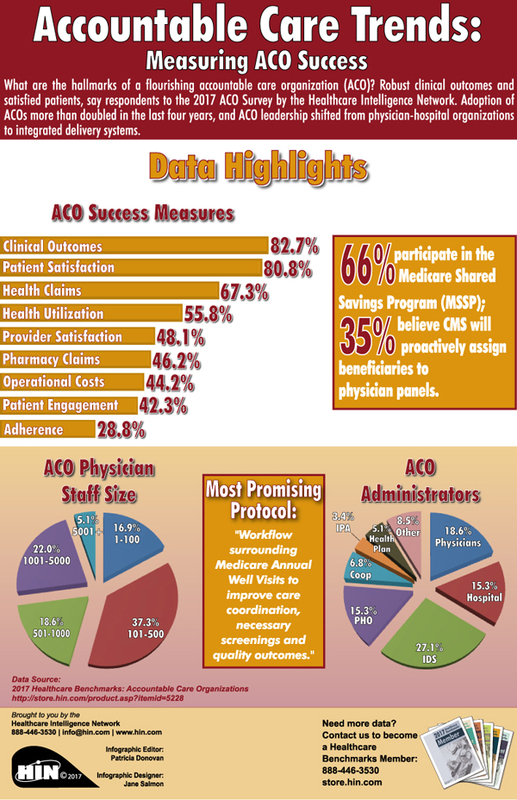 A new infographic by HIN examines what other measures healthcare organizations use to measure ACO success, ACO physician staff size and ACO administration trends. Among other data, detail tables in a physician practice’s Quality Use and Resource Reports (QRURs) pinpoint specialist referral networks for Medicare beneficiaries, explains William Holding, consultant, PDA, Inc., which can help physician practices determine their highest value referral pathways. In this broadcast, Holding explains the benefits of tapping CMS-generated QRUR reports to enhance performance under Merit-Based Incentive Payment Systems (MIPS), one of two payment paths for physician reimbursement under MACRA. 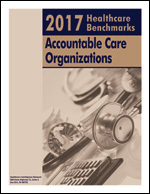 More information on this topic can be found in: 2017 Healthcare Benchmarks: Accountable Care Organizations, HIN's fourth compendium of metrics on ACOs, captures ACO operation in today's value- and quality-focused healthcare environment. This 50-page report, now in its fourth edition, delivers actionable data from healthcare companies who completed HIN's fourth comprehensive ACO assessment in May 2017.